British boy band 911 are the next act confirmed to be appearing at Jack Up The Summer’s ‘90s day’ on Sunday 11th August. The band were formed in 1995 and scored their first Top Ten hit in May 1996 with the single ‘Don’t Make Me Wait’. Nine more successive hits followed including Top 5 singles ‘More Than A Woman’, their massive signature anthem ‘Bodyshakin’ and their first UK number one ‘A Little Bit More’. 911, which consists of all original members Lee Brennan, Jimmy Constable and Spike Dawbarn, were one of only five music acts to score 10 consecutive Top Ten hits in the 90’s and the band enjoyed success with 4 hit albums between 1997-1999. They sold 10 million singles and 6 million albums around the world. Nine more successive hits followed including top 5 singles ‘More Than A Woman’, their massive signature anthem ‘Bodyshakin’ and their first UK number one ‘A Little Bit More’. 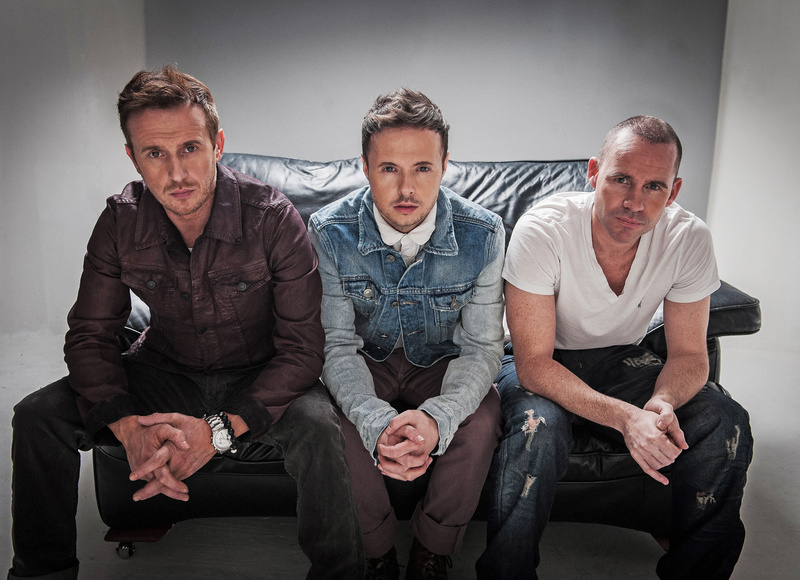 911, which consists of all original members Lee Brennan, Jimmy Constable and Spike Dawbarn, were one of only five music acts to score 10 consecutive Top Ten hits in the 90’s and the band enjoyed success with 4 hit albums between 1997-1999. They sold 10 million singles and 6 million albums around the world. Spike, 40, said he couldn’t wait to perform at what will be the band’s first appearance on the Isle of Wight. Having first found fame with Jimmy as dancers on ‘The Hit Man and Her’, the late-night ITV show that also propelled Take That to stardom, he said the band would be feeling just as nostalgic as the audience. “For anyone of a similar age to myself it was their best time but it was our best time too,” he said. “It was just mental. There was such a buzz about boybands and pop music in general. It was such a fun time and we cannot wait to relive it with you this Summer. Other artists already announced for Jack Up The Summer are 80s synth-pop band Heaven 17, 90s boyband East 17 and reggae legends Aswad. The event takes place at its new location, North Fairlee Farm just outside of Newport. Early Bird Weekend and Day tickets are on sale, available online at jackupthesummer.co.uk as well as over the counter at Island outlets including the County Press office in Newport.